What information do I need to bring with me to the evaluation? As part of the evaluation process a family will be asked to complete various paperwork, including a developmental questionnaire, authorization of release of information and a confidentiality agreement. It is important that the family return the developmental questionnaire prior to the appointments or bring the completed form to the first intake appointment. In addition, it is helpful to bring copies of any relevant paper work related to a child’s history of diagnostic evaluation or consultation with specialists (i.e., prior evaluation by psychologists, developmental pediatricians, neurologists), any school testing that has been completed, as well as documentation of educational services (i.e., IEP,504 plan, recent progress note). Please note, as part of the evaluation process we may request that a child’s teacher complete forms as well. My child takes medication, should I give it to them on the day of the evaluation? Yes, continue the medication as prescribed by the physician. It is helpful to get the child’s optimal performance during the evaluation and if medication is typically administered then it is encouraged. When will I receive a written report? Written feedback shall be provided within 4 to 8 weeks of the final assessment meeting. Generating these documents is time consuming process; however, we are committed to providing this written documentation in a timely manner. How can I prepare my child for the evaluation? For younger children, you may choose to downplay the label “doctor” if this is a frightening term and feel free to refer to your clinician by their first name. Reassure the child that this is an office with lots of toys and games, there are no medical or invasive procedures utilized. Parents may spend some portion of time in the testing room with their child. However, when possible, the child is tested independently from the parents. My child is nonverbal or I have concerns about my child’s compliance or participation in the evaluation. During the evaluation process it is our goal to utilize clinical observation, standard testing procedures, as well as parent report measures to gain information regarding a child’s strengths and relative weaknesses. We have the capability to circumvent physical or language obstacles and use adapted measures and modified testing in order to capture the most comprehensive information about a child’s developmental functioning. We will work with a family to capture a true representation of a child’s optimal capabilities. Therefore, if the testing sessions need to be broken down into smaller time blocks or if additional sessions are required we will make accommodations. In order to gain the child’s optimal participation a family may elect to invite the child’s behavior therapists, direct care staff, or other involved professionals to join the student for the evaluation. We also strongly encourage a family to bring with them any token systems, preferred toys or items, as well as all communication devices and supports that a child may be using either at home or in therapy. What can I expect in the feedback session? The feedback session is an appointment which the parents/guardians attend after the evaluation process and is designed for the clinician to present the findings to the parents/guardians, respond to the referral question(s), and fully explain recommendations. This meeting is typically 45 minute – 1 hour. A developmental neuropsychologist is a doctoral level psychologist who is a licensed psychologist and health service provider with particular training and expertise in the diagnosis and management of neurologically based developmental, learning, and behavioral disorders of childhood. Does the neuropsychologist prescribe medication? The purpose of a comprehensive neuropsychological evaluation is to provide parents with a better understanding of their child’s overall developmental profile including areas of strength and relative challenge. Parents should also expect to be supported in translating this understanding of a child’s functioning into a plan for helping their child with whatever challenges have prompted the evaluation. What can a Neuropsychologist Evaluation tell me about my child? Once the child’s learning and developmental profile is understood through the assessment process, individually tailored recommendations can be generated for direct interventions and supports at home and school to assist the child in functioning to reach their individual potential. Results of the neuropsychological profile are often used to make specific diagnoses and to provide parents with information about a child’s level of functioning across developmental domains relative to same age peers. If your child is over the age of 3 and there are specific concerns about speech production or receptive and expressive language in addition to developmental, learning, or behavioral challenges, we recommend that the assessment be completed with both the Speech-Language Pathologist and our Neuropsychologist. What can I expect in the intake session? For children above age three there are several steps in the evaluation process. The first step is called an intake. This session lasts typically 30 to 45 minutes and is an opportunity for parents to meet with their child’s clinician to discuss their concerns and ask questions about the assessment process. The intake session allows the clinician to gather information about the child’s history and development, as well as ask questions about parental observations of the child. This is also an important component of the evaluation and allows the clinician to meet the child and family to gather the necessary information in order to be able to complete the pre-authorization form required by most insurance companies to determine benefit eligibility for services. What is an Early Intervention Diagnostic Interview? This modified assessment is designed to screen young children under the age of three who are receiving services through an EI provider and do not have access to medical benefits for the evaluation. A child may be referred because of delays in the language and communication domain, global developmental delays or challenging behaviors. This evaluation consists of a brief screening conducted by the psychologist. Diagnostic clarification and eligibility documentation will be provided. The cost for this evaluation will be determined through affiliation agreements with early intervention agencies, for families without coverage by commercial insurance. What is a Neurodevelopmental Assessment? A comprehensive evaluation for toddlers, preschoolers, and early childhood which consists of a comprehensive evaluation across developmental domains including cognition, language and communication, visual spatial processing skills, and social emotional functioning. What is a Neurodevelopmental Evaluation & Educational Consultation? A full evaluation consists of neuropsychological testing and educational assessment for children ages 6 through 18. This involves a thorough review of developmental and medical history, review of current services and educational programming, comprehensive testing across domains including intellectual functioning, academic performance, learning and memory, language and communication, as well as social and emotional domains. The assessment consists of two hours of neuropsychological testing, two hours of educational assessment, and a one-hour parent feedback session. Given that educational services are not covered through private health insurance, the educational consultation portion of the evaluation includes a private pay fee. What will happen during an evaluation for my young child? The first step is called an intake. This session last typically 30 to 45 minutes and is an opportunity for parents to meet with their child’s clinician to discuss their concerns, gather case history information, and ask questions about the assessment process. For the second session the parents and children are often invited into the testing office with the psychologist so that the child is not separated from his/her parents causing unnecessary distress. The evaluation will take approximately two hours and include a direct assessment of the child and parent feedback within the same appointment. A written document will follow the evaluation. There are several steps in the evaluation process. The second step is the evaluation which consists of 2, two-hour testing sessions which including comprehensive assessment of intellectual functioning, academic performance, learning and memory, language and communication, as well as social and emotional domains. The third step is a one-hour parent feedback session where the results of testing and recommendations are explained in detail and specific referral questions are answered. Does my insurance cover the cost of neuropsychological or neurodevelopmental evaluation? In general, insurance companies may cover neuropsychological testing that is deemed “medically necessary.” This is determined on an individual basis by the insurance carrier. Beacon will make every effort to support a family by completing the pre-authorization paperwork if they seek to access their medical benefits for the evaluation. It is important to note that not all cases are approved for neuropsychological testing. However, portions of the evaluation that are for educational or vocational purposes are not covered by insurance hence the additional out of pocket expense for the educational consultation. Why do I need to include the educational consultation portion of the evaluation? Beacon Assessment Center clinicians aim to comprehensively evaluate children in order to clarify diagnostic questions, as well as to include appropriate treatment recommendations. The educational portion of the evaluation is essential and inseparable from the neuropsychological portion of the comprehensive evaluation. In most cases, children with learning, developmental, or neurological disorders require special education supports. As such, within the evaluation process it is important to gain a comprehensive understanding of the nature and extent of a child’s issues relate to learning and education. Therefore, in order to prescribe appropriate treatment interventions standardized testing that is for educational purposes is required for children over age 6. What is included in the educational consultation? The educational portion of the neurodevelopmental and neuropsychological evaluations may include a review of educational history, review of current special educational plans and services (IEP/504), recent progress notes, and previous school test results. Also included in the educational consultation are administration of standardized academic test batteries (i.e., reading, math, and writing), review of teacher report forms, interviews with educators and therapists, as well as recommendations related to educational services and treatment interventions that are educational in nature. What can a Speech-Language Evaluation tell me about my child? Once the child’s language profile is understood through the assessment process, individually tailored recommendations can be generated for direct interventions and supports at home and school to assist the child in functioning to reach their individual potential. If there are concerns about more global learning challenges in addition to your child’s difficulties with speech or language, we also offer developmental testing with our Neuropsychologist. What is a Pragmatic Language Assessment? This individualized assessment focuses primarily on the social use and application of language across a variety of communication partners and settings. Testing includes formal measures and observations which are used to identify the child’s communicative competence in a variety of social situations. 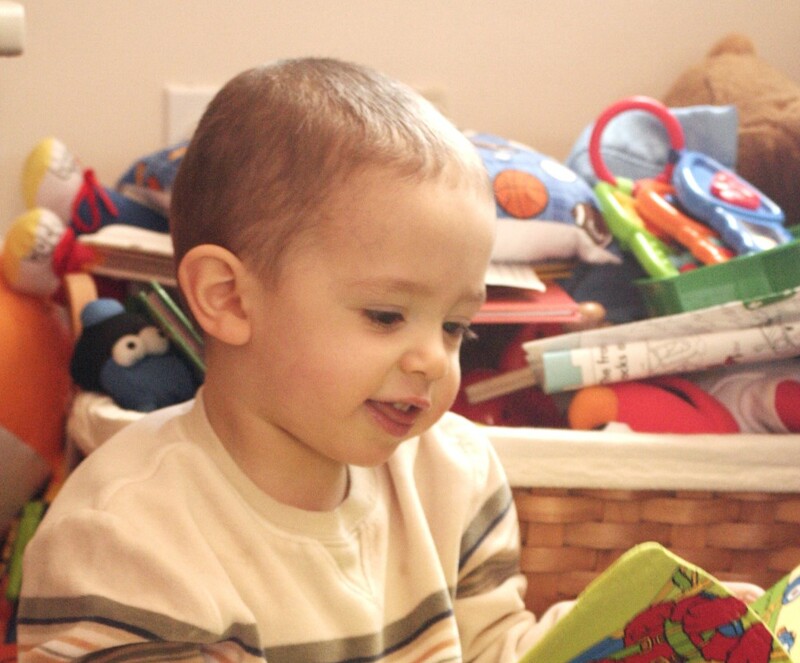 What is a Developmental Speech and Language Evaluation? A comprehensive evaluation for children 1 – 18 years in which the skills necessary to produce and comprehend language are assessed, including receptive language, expressive language, vocabulary, grammar, social communication, play skills, and speech production. If areas in need of improvement are identified, detailed recommendations are then provided on the focus, intensity, and structure of treatment. What will happen during a speech and language evaluation for my child? For children under the age of three, parents and children are often invited into the testing office with the speech-language pathologist so the child is not unnecessarily distressed by separation from his/her parents. For children over the age of three, the parents are asked to be present in the testing office for portions of the assessment, but the child is also asked to perform some tasks independent from their parents. All evaluations will include a parent interview and direct assessment of the child within the same appointment. For children under the age of 3, the results of testing and recommendations will also be shared in the same appointment. For children over the age of 3, a separate feedback session with the parents/caregivers will be scheduled. What is the purpose of a speech and language evaluation? The purpose of a comprehensive speech and language evaluation is to provide parents, educators, and other health care professionals with detailed information on a child’s fundamental skills, including their strength and relative weaknesses in the areas of language production, comprehension, and use. Parents will be supported in translating their child’s specific profile into a plan for helping them with identified challenges. A Speech-Language Assessment may include evaluation of: vocabulary, sentence formulation, grammar, comprehension and processing of oral information, verbal memory, organization of language, play skills, social language, speech sound production, and higher-level language skills. If there are concerns about more global developmental, learning, or behavioral challenges in addition to the child’s difficulties with speech or language, we recommend that the assessment be completed with both the Speech-Language Pathologist and our Neuropsychologist. A speech-language pathologist is a master’s level, licensed, health care professional who has undergone specialty clinical training in the assessment, diagnosis, and treatment of speech, language, social communication, and feeding disorders in childhood. Does my insurance cover the cost of a speech and language evaluation? In general, most insurance companies may cover speech and language testing that is deemed “medically necessary.” This is determined on an individual basis by the insurance carrier and requires an order for the evaluation from a medical practitioner. The referring provider can be the child’s primary care physician, neurologist or other medical doctor. Beacon will make every effort to support a family by completing the referral and pre-authorization paperwork if they seek to access their medical benefits for the evaluation. It is important to note that not all insurance companies contract with Beacon and not all cases are approved for testing. However, a family may elect to pay for the testing at the out-of-pocket rate and apply for reimbursement on their own through their insurance company after the evaluation, although this does not guarantee reimbursement. One of the most frequent reasons why an insurance carrier may deny testing would be if this benefit has been accessed by another plan within the last 12 months. A multidisciplinary kindergarten screening and readiness evaluation is conducted by a speech language pathologist and a licensed psychologist. This clinical evaluation explores early readiness for entry to kindergarten, including basic problem solving skills, language competency, social and emotional screening, as well as a specific evaluation of phonological processing which are the key elements required for learning to read. Does my insurance cover the cost of an Integrated Evaluation or Kindergarten Readiness Evaluation? In general, most insurance companies may cover neuropsychological and speech- language testing that is deemed “medically necessary.” This is determined on an individual basis by the insurance carrier and may require an order for the evaluation from a medical practitioner to complete the speech-language portion of testing. Subsequent to the intake appointment prior authorization is obtained before moving forward with the assessment. Beacon will make every effort to support a family by completing the referral and pre-authorization paperwork if they seek to access their medical benefits for the evaluation. It is important to note that for children ages 6-18, the portions of the integrated evaluation that are for educational or vocational purposes are not covered through private health insurance and may require payment of an additional flat fee. This multidisciplinary team evaluation consists of assessment services provided collaboratively between a licensed psychologist, licensed applied behavior analyst, and speech pathologist. These evaluations are individually tailored to meet the needs of the student but often consist of clinical evaluation in the areas of development, cognition, speech and language, pragmatics, learning, social, emotional, and neuropsychological functioning. The findings are integrated to provide answers to diagnostic questions and comprehensive treatment recommendations.